Why is the natural landscape of the Diablo Valley so important, espe­cially to the younger characters in the novel? Several myths, legends and systems of belief are mentioned in the novel. 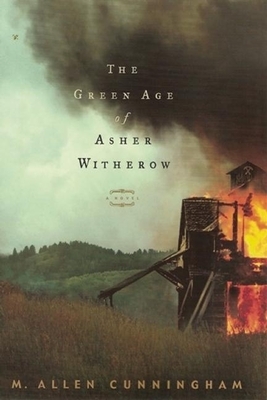 There is the traditional Protestant Christianity of Reverend Parry and the Nortonville residents; there is Josiah Lyte's own unique version of Christianity; there is the Hinduism that influences him dur­ing his childhood in India; there are the Native American legends of Indian tribes that first named the mountain and the Celtic myths and stories of Asher's Welsh ancestors. How do these "underpinnings" inform the story? Sarah Norton is a disturbing character in the novel. As a midwife (and, in Anna's case, an abortionist), she is suspected by some people in Nortonville of being a witch. Why do you think the author "drew" her this way? The coal miners of Nortonville are a proud people. What seems to be the nature of that pride, and what are its main sources? Asher's mother, Abicca, is among the many citizens of Nortonville who believe the young minister, Josiah Lyte, is ungodly and danger­ous, not just different. Does Josiah Lyte pose a real threat to the town? Why is Josiah Lyte so interested in Asher? Is it simply because the boy is a gifted student, or is there more to it than that? Why does Lyte refuse to tell anyone how Thomas disappeared and what role Asher played? Thomas Motion teaches Asher to see in the dark. This ability abandons both Asher and Thomas once they are underground. Why can't they see in the dark there? Why do you think Anna Flood has this gift? What draws Asher to Anna Flood? Why is Anna so certain that they will be friends? How do the events cause their relationship to develop? This is a historical novel, with many realistic details of nineteenth-century California and the mining town of Nortonville. Yet certain ele­ments of the story are more magical than real. Why do you think the author chose to include these elements of magic andd mystery? The elder Asher gives us hints about his life between the time Nor-tonville's mining industry declined and he left the town until the present time (1950) when he is writing his story. What do you imagine may have happened to him in the years in between? What do you think has driven him to write the story of his early years in Nortonville?